The story is amazing enough, but adding the photos really drives it home. Read the story before scrolling down: it’s worth it. From the 29 July 2001 issue. It’s not known whether Enrique Aquilar Canchola, 42, thought his disguise would work, but it definitely didn’t. 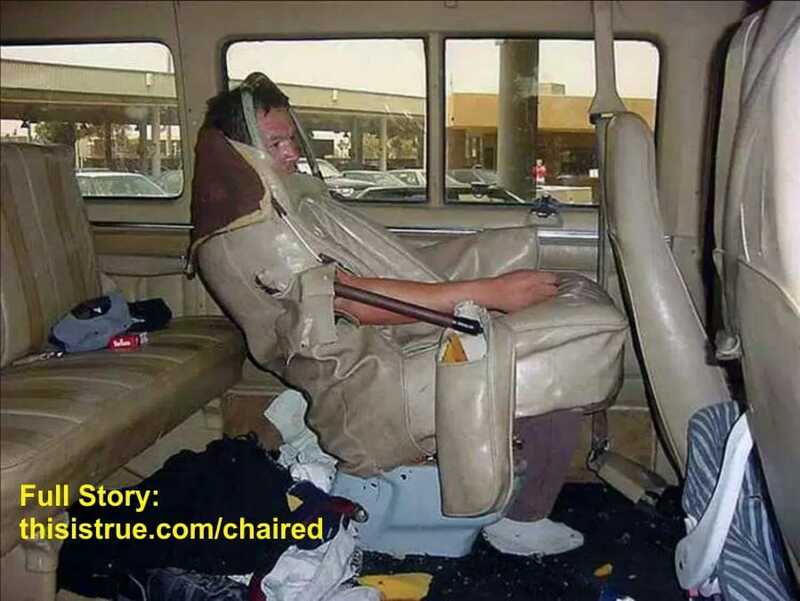 The Mexican national tried to cross the Mexico-U.S. border into San Ysidro, Calif., disguised as a car seat. A U.S. Immigration and Naturalization Service inspector discovered the unusual camouflage when he checked the back of a van when it tried to sneak Canchola over the border. (London Times) …He agreed to it after learning immigrants are often treated like furniture. OK, you read the story first, right? Previous Post: Isn’t Life Already Short Enough? Next Post: ZT Madness is Spreading! I first saw this guy in my Canadian Law textbook in the immigration section. I’d like to know more about this guy though. Why is he remaining so calm? Did he have the armrest and head covered originally? Is he any relation to one Horace Slughorn? We covered this in geography. Enrique is from Zacatecas. He has a wife and two young daughters who are frequently ill. Last time, he tried to swim across the polluted Rio Grande at night. 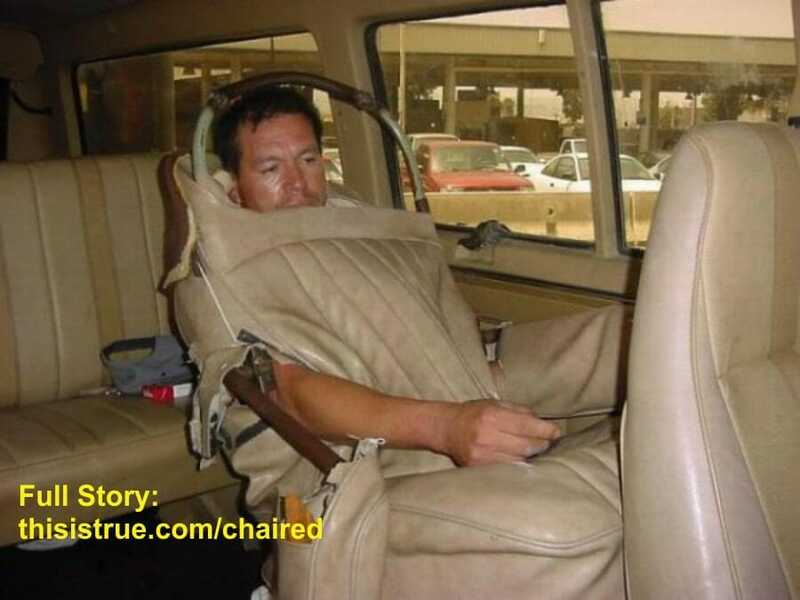 Enrique sliced off the top of the leather seat and wriggled inside the cushion while his friend drove the car. He almost suffocated. He was caught at the San Ysidro crossing. And yes, ‘Bergman’, he does bear an extraordinary resemblance, doesn’t he? People-who-can-turn-into-armchairs-and-carseats-unite!